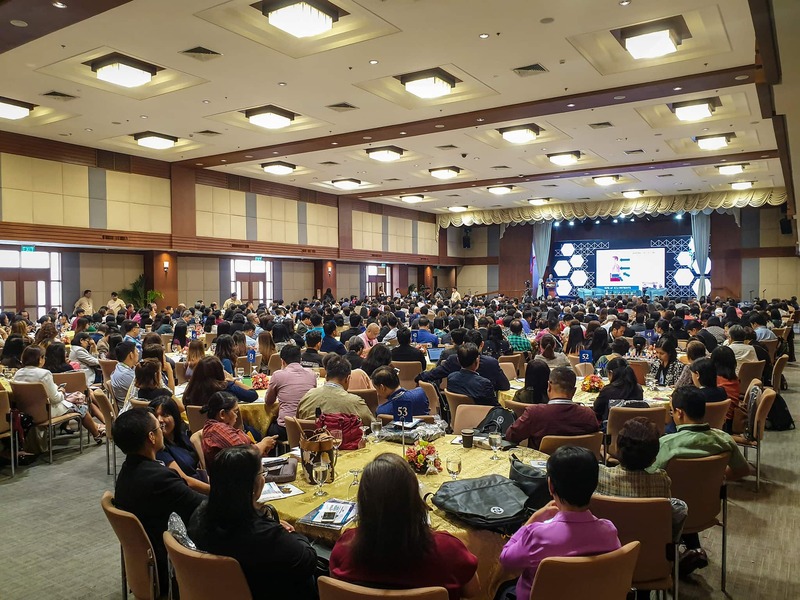 PASAY CITY – The Cordillera Regional Health Research and Development Consortium (CRHRDC) actively participated during the International Conference on Health Research and Industry 4.0 on March 15, 2019 at the Philippine International Convention Center (PICC), Pasay City, which was organized and conducted by the Philippine Council for Health Research and Development of the Department of Science and Technology (PCHRD-DOST), in conjunction with its 37th year Anniversary Celebration. CRHRDC Chair and OIC-Regional Director of the Commission on Higher Education (CHED-CAR) Dr. Ma. Geraldine F. Casipit led the group of the attendees as they took part in the said celebration. The other attendees were Regional Coordinator Dr. Erlinda Palaganas, and Mr. Carlson Dave Bolinto, one of the members of the secretariat. Bannered by the theme, “Health Research and Industry 4.0,” the event tackled issues and the opportunities that confronts the health research landscape in the face of Industry 4.0. It gathered international experts and showcased the best practices under Industry 4.0, particularly for the health field. This conference was attended by various participants from various sectors under the academe, policymakers, private sector and civil society representatives. The conference served as an avenue to discuss how we can take advantage of the opportunities and manage the risks emerging from Fourth Industrial Revolution (FIRe). Dr. Michael Braun, Program Manager from the Vietnam Climate Innovation Center, who has over 25 years of professional experience in the management of innovation, knowledge, academic education, technology and R&D in leading nations as well as in developing countries, delivered the keynote address during the said conference. Other international speakers are Dr. Junjie Chong from Newcastle University UK, Ms. Tala de los Santos from PATH, USA, and Dr. Russell Walker from Swinburne University. One of the highlights of the program was a panel discussion on the readiness of the health research sector in the coming of the fourth industrial revolution with the resource speakers Dr. Jun Jie Chong from Newcastle University and Dr. Rowena Cristina Guevara, Undersecretary for Research and Development of the Department of Science and Technology. In the afternoon, five parallel sessions were organized as follows: Developing a Research-based Biomedical Device and Diagnostics Industry, Academe and Industry Stakeholders’ Forum on Technology Commercialization, 3-Minute Pitch to Policymakers, PAMJE Annual Educational Session and 7th General Assembly, and PCHRD Scholars Society General Assembly.